Your financial advisor may be a great guy and try to do the best he can for you, but he is limited in what he can do for you. He can offer you basic services at inflated execution prices or overpriced advisors fees. He is NOT allowed to access your Hidden Money. Hidden Money Methods shows investors how to find their hidden money. They can make more money from their existing portfolios. Using a proven method, investors can increase their portfolio return and reduce their risk. Hidden Money Methods can help the basic to advanced investor. 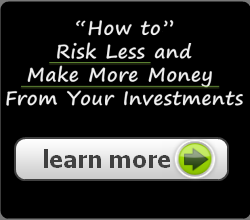 Hidden Money Methods reveals how to Make Money by improving your investment money making habits.